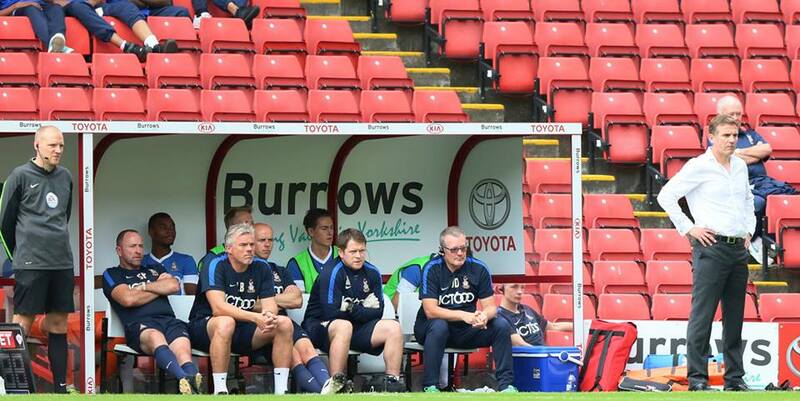 It’s probably fair to say that Steve Davies has suffered an indifferent opening to his Bradford City career. But this was his moment; this was what he was brought here to do. After an afternoon of graft with little in the way of chances, a slip up in the Barnsley back line had gifted City a golden opportunity to make all that effort worthwhile; to turn around their quickly spiralling start to the year. Steve Davies was clean through on goal, with only the keeper to beat. He has talked himself up as a Championship forward, and of the players on the pitch at the time, he was certainly the man you would want the chance to fall to. He was quickly reeled in by the scrambling defence as he composed himself, but he remained in control and let the keeper commit before lifting the ball over him toward the unguarded net. This was exactly what Davies was brought here to do. That the ball meekly floated wide of the goal wasn’t a particular surprise given the start to the season, but it once again highlighted the divergence of the evidence in front of our eyes and the preseason narrative of ‘Championship’ pedigree and promotion pushes. The past week or so hasn’t been that much fun as a City fan, with the pre-season optimism quickly giving way to anxiety as Parkinson’s revamped squad have emphatically failed to meet their rising expectations. In May, it looked like City were only replacements for Jordan Pickford and Aaron Mclean away from being genuine contenders for promotion. Instead, the manager opted to entirely revamp the core of his team, and in the first four games, his team have looked much worse for the effort. In fact after all the work over the summer, they still sat two players away. In truth, probably three or four. Tuesday’s home defeat at the hands of a much-superior Gillingham outfit, represented the lowest point of a first month littered with them, and at the final whistle, the fans began to get vocally restless. In the fallout of that game, the manager has been publicly critical of his players’ efforts so far this season, and his actions have increasingly been giving off the impression of a muddled mind, not knowing his best team, or which lever to pull, and when. This wasn’t exactly dispelled that in spite of the face his team have fielded 17 players in three games, two new loan players were recruited on Thursday, both immediately being inserted into his starting eleven. 18-year old West Ham defender Reece Burke became Rory McArdle’s fourth central defensive partner in the first four games of this season, and incredibly his 16th central defensive partner in his little over three years in a City shirt*. Burke has been brought in on a one month loan, with the task, at a minimum, of buying Parkinson some time as he works out what to do long term. Central midfielder, 21-year old Lee Evans has arrived from Wolves until January and after being handed the vaunted City #4 jersey joined Burke in the starting eleven. That both players started within 48 hours of their arrival isn’t a ringing endorsement of those currently on the books. Not least fellow new signing Nathan Clarke who has gone from a starter two weeks ago, to borderline unplayable at this point. All that said, Parkinson clearly views the two as important additions to the squad, and if their performances at Oakwell are anything to go by, he will be proven correct. Evans, and Burke in particular, were comfortably City’s best players on the pitch, both fitting in seamlessly. Burke is a tall, rangy centre half who is comfortable bringing the ball out from the back. If you’re looking for a comparison, he does have a bit of John Stones about him. He was almost uniformly excellent today alongside McArdle and was the key reason behind the team’s improved stability at the back. Evans played alongside Gary Liddle at the base of the midfield, and from the outset, looked comfortable dictating the play. He showed enough promise in just this first game to think he could be an excellent foil for Liddle in the middle of the park over the coming months. 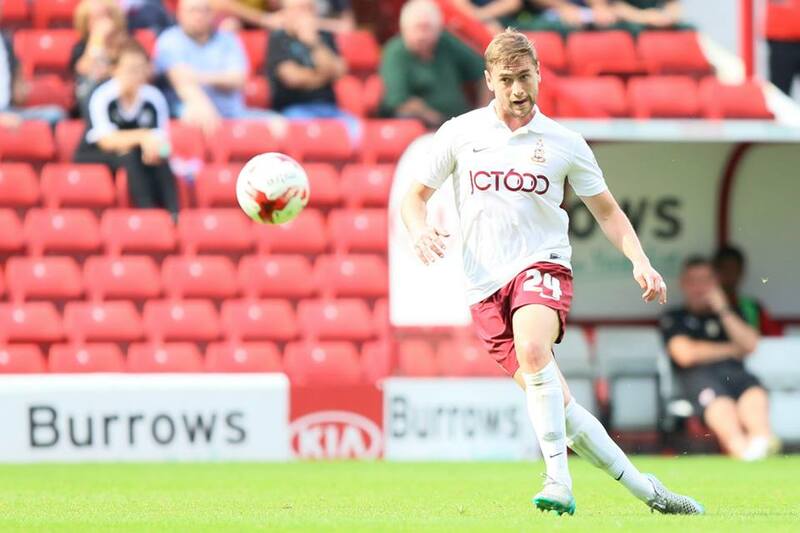 His energy was particularly impressive for someone lacking game time and City showed a much greater balance at Oakwell than they have exhibited in previous outings, much of this down to Evans. Parkinson also unleashed his two new widemen from the outset, and restored both James Meredith and Davies to form, goalkeepers aside, what looks just about our strongest team at this point. From the first whistle, you could notice a different demeanour, a different tone to the previous games this year. Cheered on by an 1,800 strong, raucous away following, City were looking much more familiar, playing with the same determined spirit and organisation of previous years. That said, an admirable, if woefully ineffective Barnsley almost took the lead early after an(other) error from Ben Williams in the visitors’ goal. After he had come for, and got nowhere near, a long throw into the box, the hosts fired against the post with the goal agape. I don’t want to be critical of the City stopper given he just kept his first clean sheet of the year and did make a save when called up later in the half; however, you really hope the transition to Brad Jones is now imminent. After this early excitement, the game fell into a pattern of Barnsley having most of the ball, without looking like doing much with it, and Bradford defending hard, and well. City’s two banks of four were highly organised, and supported by the dropping-off Davies in the Billy Clarke role, providing additional help to counter Barnsley’s extra man in midfield. Whilst this game was billed as the return to “four, four, ‘ing, two”, in truth it often ended up with James Hanson isolated on his own up front, with Mark Marshall and Paul Anderson frequently the closest thing to company. City again struggled in terms of creating chances, but this remained a marked improvement on what we have seen so far. A very lenient referee, Eddie Ilderton, was committed to letting the game flow from the outset, and this hard fought Yorkshire Derby was allowed to proceed just as advertised. After what (on first viewing) appeared a pretty reckless lunge by Davies went unpunished, the home manager and crowd were visibly displeased with the man in the middle, but for the most part he did fine. He didn’t detract from the entertainment, which is basically all I ask for anyhow. If past experiences are anything to go by, it is probably fair for me to assume that in spite of this, the offerings on Pulse Sport were littered with monotonous hyperbolic ventings at Mr Ilderton in lieu of actual analysis, but his laissez-faire style often played into the hands of City’s tough tackling team over the more delicate home outfit. After an even first 35 minutes, City slightly wilted in the August heat and the home team began to take the ascendancy. Still, little was created and the half time stalemate was a fair reflection of the half. The second half started in the same fashion as the first, with neither team getting the upper hand, and Barnsley seeing a lot of the ball. As it turned out, in the same manner as the Shrewsbury game, City’s most effective route to creating chances was just standing around and waiting for the opposition defenders to set you up on goal. As it was that Davies went through on goal before fluffing his lines. This was the big moment in the game; he really had to score. Hanson has thrived in his career alongside a combination of fast strikers who can get in behind a defence, or more cerebral players who can find pockets of space in and around the final third. On these admittedly early showings, Steve Davies isn’t either of these things. Nor is he a clinical finisher if today is anything to go by. It does raise the question how exactly he is going to fit into this team. The visitors improved markedly towards the end of the game after the introduction of Luke James and Josh Morris, and for the final quarter of the game were well on top, cheered on by the excellent away support. From set pieces in particular they threatened the home goal, with Hanson amongst others, guilty of spurning decent opportunities. As it was, the home side almost stole the game in the dying seconds with an Alfie Mawson header onto Williams’ far post, after Marshall had senselessly given away a free kick in a dangerous area on City’s right. Given the dénouement, a 0-0 stalemate was probably a fair reflection on proceedings. Both sides will have left rueing their missed chances, but neither side created enough to really justify the three points. Parkinson’s pre-match comments in the week were desperately searching for a reaction in his players, and he certainly got that. They fought and battled throughout and for the first time this season, they looked like a Phil Parkinson team. It wasn’t a vintage “stones” performance, but there was enough there to placate the anxious fanbase for another week. Baby steps. At least for the time being, Parkinson now looks like he has an idea of his strongest team and they came through for him at Oakwell. Not least his two new recruits, who alongside Brad Jones should go a long way to solve his short term issues of defensive fragility. The long term problem, the elephant in the room, still lingers however. 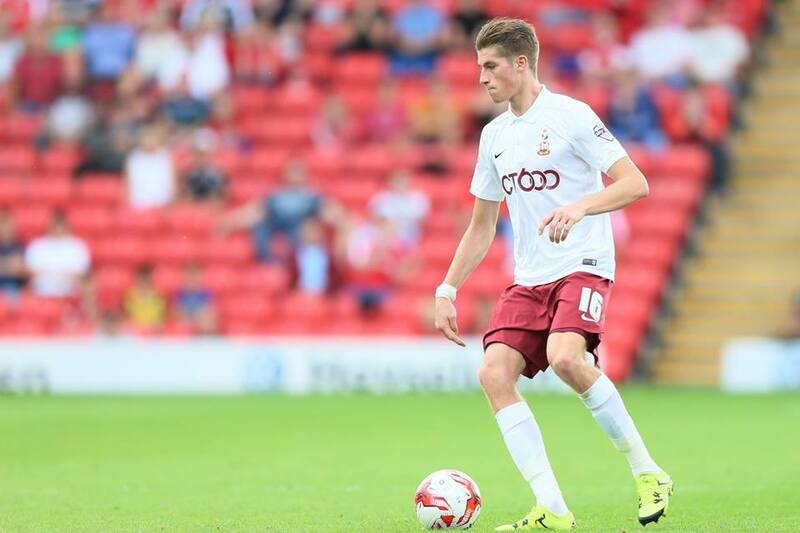 Only Southend and Doncaster have scored fewer goals in League One than Bradford City this season, and City again looked like a team at least one goalscorer short. Just as they have done since Nahki Wells left. They do not create nearly enough opportunities to score, and when they do come, they are often unable to capitalise. This has been the case for two years now. With Billy Clarke absent for the foreseeable future, the question of where the goals are going to come from looms large. Watching that ball bounce feebly past the left hand post as Davies fell to his knees, it became ever clearer that despite the off-season revamp, the answer to this question is not currently at the club. 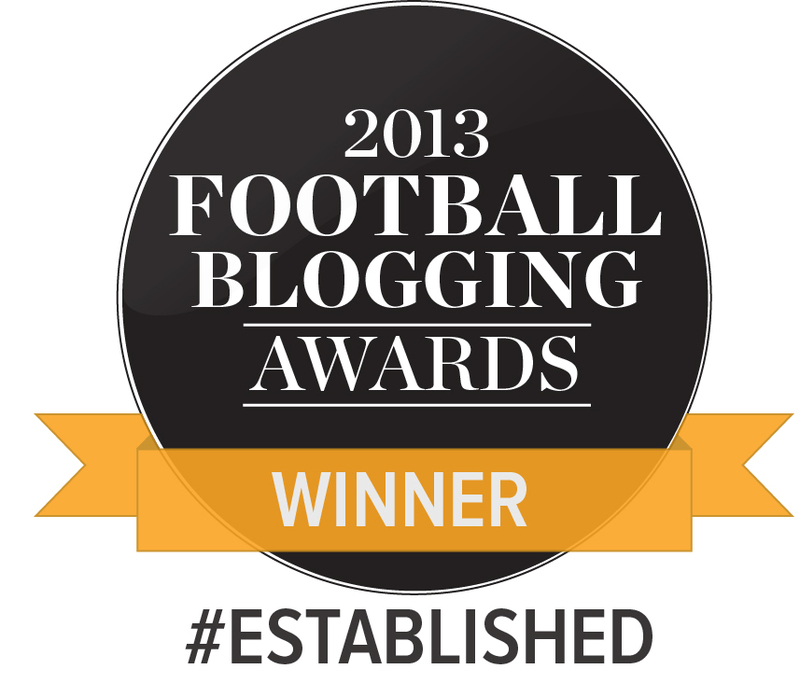 *Deep breath, and with a huge hat tip to Soccerbase on this one, (in chronological order): Luke Oliver, Andrew Davies, Carl McHugh, John Egan, Curtis Good, Tom Naylor, Nathan Doyle, Michael Nelson, Matt Taylor, Matthew Bates, Alan Sheehan, Gary Liddle, Christopher Routis, Gary MacKenzie, Nathan Clarke, Reece Burke. With special thanks to the very kind Thomas Gadd for allowing us to use his brilliant photos. Please visit Thomas Gadd’s website for more details or click here for more photos of the game. 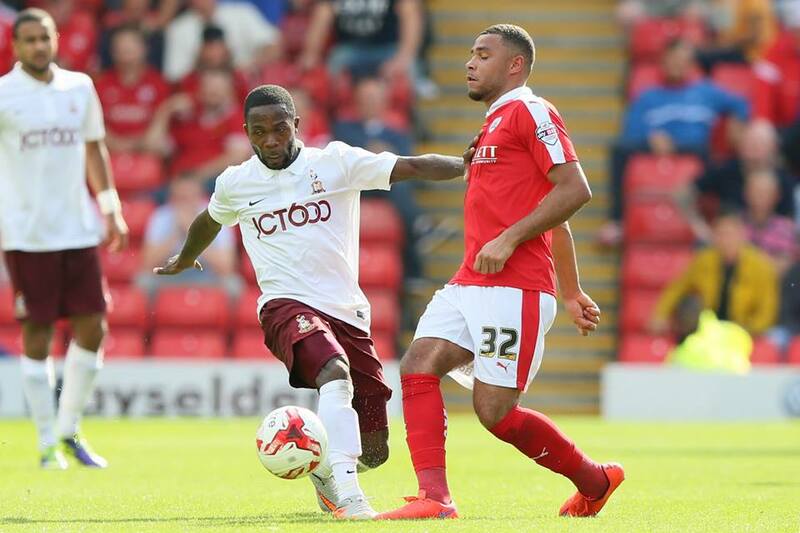 ‹ What’s wrong with Bradford City at the moment? Many thanks for your assessment of yesterday’s game. it was spot on. city have had many shortcomings early season but I was always of the opinion that all but one would be solved…..the elephant in the room. we simply don’t have a striker who can manage anything near one in two (the two new boys signed close season only managing a handful between them last term). i fear that this will cost us this time as it did last season. such players are in short supply but almost impossible to aquire if you don’t have the money to pay a transfer fee. How many more chances will James Hanson miss without getting a bit of criticism? ? Davies missed 1 but played far more intelligently than James. I’d like to see Hanson on the bench if he keeps hitting blanks, then we may evolve our attacking play. P’s I rate Hanson!!! Hanson has now being at City for six years and we know what to expect from him. He will get 10-15 goals this season, just as he has virtually every season. He will have runs of games where he nets a few goals, and others where he goes without. He has a lot of other attributes which he brings to the team, which is why he continues to be first choice striker. It is unrealistic to expect Hanson to become a 20+ goals man, and I would say it is not an issue that he isn’t. What City need is someone alongside side him who can play off him and be the main goalscorer, as Nahki Wells was for more than two years, to great success. Such players are clearly difficult to find, especially on a League One budget, but that doesn’t mean dropping Hanson is the answer. If, like in 2012/13, we could have a strike partnership where one is getting 20-30 goals and the other (Hanson) 10-15, that would be perfect and would probably result in promotion. It is of course a big if. It depends on how we set up if we plan to play with these two wingers as a tactical decision to flood the box with more crosses than we have been doing then Hanson must be expected to score a minimum of 15 and closer to 20. At the same time we should also expect him to do less outside of the box if his role is to be changed in this way. I am Hanson’s biggest fan but if Clarke had been fit then it could have been considered that dropping Hanson would be how to get the best of Clarke. Hanson has very obvious qualities that have served us well and continue to do so but that does not mean he should be guaranteed his place in the team if those qualities are not best suited to create a balanced side. Again we are now only 4 games in – let’s see how this team looks 10-15 games in and if Hanson should still be 1st choice. James Hanson runs he’s nuts off for City week in week out play him as a out and out center forward you see goals then, our best player bar none and Rory M pity others don’t follow.